The Light of Truth Center (LTC) has created an innovative, all-inclusive therapeutic recovery system. Our Continuum of Services model includes Level I Housing with support services, (self referrals, women leaving treatment and institutions.) Level II housing provides Permanent Supportive Housing for women who have completed treatment, aftercare and are currently self supportive. Further, we have developed a Training and Restoration Center for training and entrepreneurial development of LTC women. There are two programs associated with our housing and training components; treatment and our women’s wholeness program. The treatment component provides clinical services including groups, relapse prevention, conflict resolution, and individual counseling. The Women’s Wholeness program provides a holistic approach to healing the whole woman including finances, dress-for-success, hair care, hygiene, cooking, personal growth and recreation. When it’s time to serve – you’ll know it. While driving home from work in the early 1990’s during the cold winter season, Vaile Leonard was touched by the homeless individuals she passed. Something in her was moved to action. 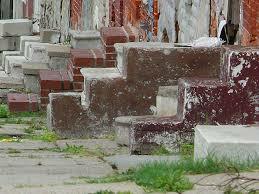 Upon arriving home she spoke with her partner and decided that she was going to do something to help. The idea to purchase blankets, gloves, hats, scarves, and socks and hand out to those less fortunate was something that she could do. This was the beginning of the urge to serve. Early in recovery herself (1992=6 years) and deeply committed to Sponsorship within the 12 Step Program of NA, Vaile received a call from one of her Sponsees requesting help. Arriving at the recovery house where her Sponsee was staying, she knocked on the door. When her Sponsee welcomed her in, she could not move. From her view in the doorway she saw how run-down the house was and the poor living conditions that the women were living in. She was unable to move beyond the door sill. She asked her Sponsee to come outside where they could talk. Once she was back home she shared her experience with her partner. She was dismayed and saddened to think that women in recovery were living in squalor-like conditions; the same conditions some of them came from when actively using. She felt they deserved better and was deeply moved. She expressed her concerns with her Pastor and two other friends. In the moment an idea was conceived….she was determined that she would provide a safe, clean, supportive environment conductive to recovery for women seeking a new life. As with all ideas they need to be believed in, to be nourished, and to be kept alive. Her passion was infectious as she shared it with her partner, pastor, and dear friends. From that moment they were all determined to be of service. It was also at this time that she was learning Spiritual Principles; not only from her Church but also from within the 12 Step Program she attended. This was a perfect opportunity to incorporate them into her daily life. 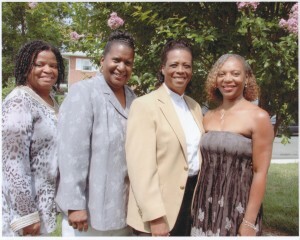 The four women decided to come together and meet weekly to dream and vision together. This they did for a year. During the “dreaming and visioning” time Vaile, was also “moving into action” by learning how to form a non-profit and doing what was needed legally to become a 501(c)3 charitable organization. She was taught to “act as if” so that when the time is ready, all things would be in place. A year later the conceived idea was born. In 1999, The Light of Truth Center was certified as a 501(c)3 nonprofit charitable organization. Her dedication, steadfastness, and passion paid off. It was also at this time a favorite uncle had passed and left her his row home located in the North-Penn section of West Baltimore. This became the dream realized. In 2000, LTC had its first client; a woman in recovery seeking safe, clean, and supportive housing. 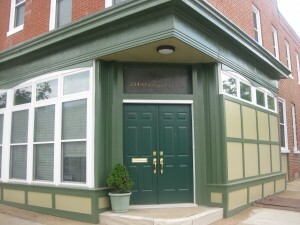 In 2010, LTC acquired and renovated a 4032 square foot building through a partnership with Neighborhood Housing Services. The building now stands as an example of what is possible through collaborations, partnerships, perseverance, commitment and determination. 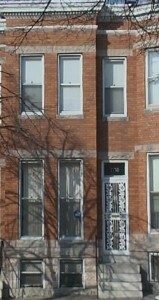 The Jefferson Jones Center opened in 2011 and provides permanent supportive housing for women in sustained recovery. The Light of Truth Center has diligently and methodically grown the organization from an idea, to a concept, to a full service Behavioral Health organization. LTC has remained mission-driven and has solidified a set of non-negotiable core beliefs and vision statement. LTC opened its doors in 2000 with the capacity to house six women. To date, LTC has the capacity to house twenty women. In the last 17 years of operation, with primarily a volunteer staff, LTC has served over 1370 women (residential and non-residential) through its various programs, services, and other community partnerships and resources. In 2016, LTC received its license to provide Intensive Out-Patient/Out-Patient services, thereby further increasing its capacity to serve even more women in the Baltimore area.